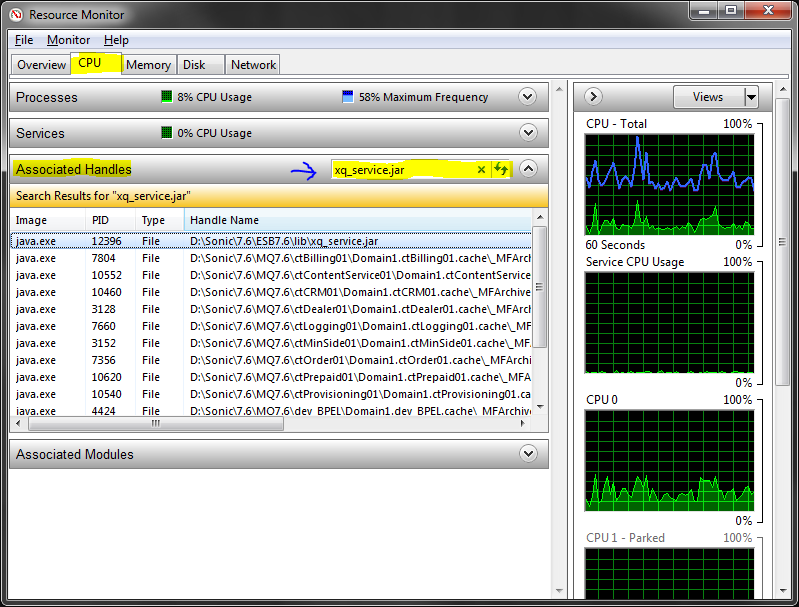 You can use the Resource Monitor for this which comes built-in with Windows 7, 8, and 10. When you've found the handle, you can identify the process by looking at the Image and/or PID column. You can then try to close the application as you normally would, or, if that's not possible, just right-click the handle and kill the process directly from there. Easy peasy!